Basketball is becoming a huge sport in China and the NBA is looking to capitalize on this. 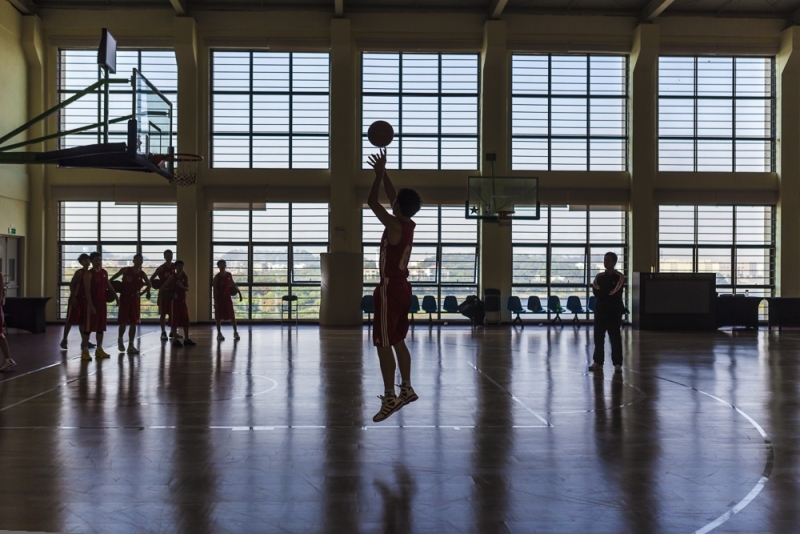 They, along with the CBA, have set up a basketball training center for current rising stars of the game in China. Here is a silhouette of a player taking a shot in front of his peers and coach just before the end of practice.